I tried skiing once. My own clumsy lack of co-ordination meant that my lone skiing holiday resulted in me being outclassed by a group of talented, star-jumping five-year-olds. Plus, me falling over and injuring myself. But for those who are far better at this skiing lark than useless me, Italy is one of THE places to go this Winter. Offering excellent ski facilities and outstanding views, it's a double win for folks seeking the ultimate Winter getaway. For one of the best examples, you won't go wrong with the Dolomites. 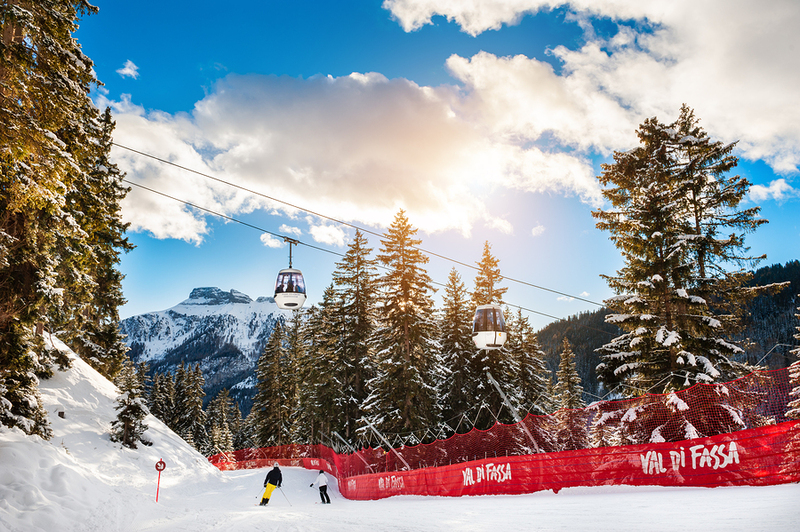 Trentino's Val di Fassa offers a prime skiing experience, including some excellent ski zones and facilities, plus outstanding views, such as the Swiss and Austrian Alps. It's a location that provides a Winter sport for all tastes, so if you're not so hot on pure skiing, other sports such as snowshoeing are available. For the dedicated skier, the Sestriere resort in Piedmont will undoubtedly satisfy. Linked to 146 pistes, the Sestriere ski resort boasts up to 400 km of trails, and for those who want a night time ski, it's a resort that allows you to do so after the sun has gone down. While it's a popular resort for expert skiers, it's equally good for less experienced newcomers or younger ones, with simpler slopes to traverse. Another good one for all ages is Corno alle Scale in Emilia-Romagna, which even includes baby parks for budding children skiers. As well as this, there are two cross-country ski loops, snowboarding areas, and a special track dedicated to Bologna-born ski champion, Alberto Tomba. Amazing views of the Molise mountains can be enjoyed in Del Caprio di Campitello, a location that boasts an extra pedigree of international ski competitions. Plenty of space and facilities (including 40 km of slopes and seven lifts) mean that there's more than enough room for ski fans to brush up on their skills and for newcomers to become highly proficient in the sport. More excellent ski resorts have been covered by Silvia here at her extensive guide to Winter ski locations. For those who love the snow but hate to ski, don't worry, you have a bevy of options in Italy's mountains right here. Bah humbug. One of my festive grumbles is finance. As well as spending lots of cash on presents, there's also cards, postage, holiday food and drink, days out... the list goes on. Little wonder that so many welcome January with all the warmth of a ski slope. But as compensation, January and February mean sale season. If you're after the latest fashion bargain and you've got enough money in the kitty after Christmas, then it's your lucky days. Sale periods tend to vary from region to region. Genoa and Turin have sales lasting until February (Genoa's is shorter, lasting until 18th February, Turin's lasts until the end of the month). Other regions keep the sales going through to March. Bologna and Emilia-Romagna run until the 4th, while Milan and Lombardy finish the sales a day later. Florence and Tuscany last until the middle of March (15th), but this lengthy spell is pipped by Venice, which keeps the sale season on for all of March. A common rule of thumb is that the prices drop more as the sale season goes on, so if you can hold out till the later part, chances are, you'll get a better bargain. Georgette has penned a guide to some of the best places to snap up a Winter bargain right here. 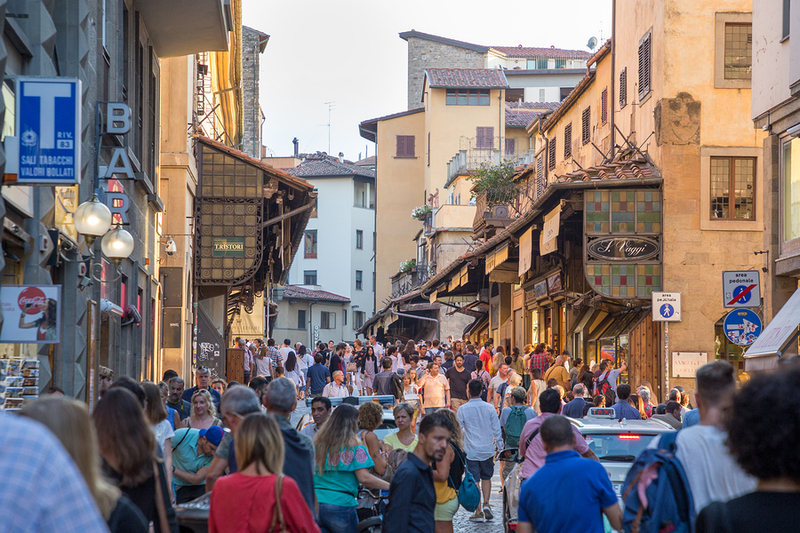 These include Florence, which boast equal helpings of luxury (the Ferragamo store), hidden jewels (via Ghiberti) and quirky, piquant shops in quieter locations (via Romana and via Maggio, for instance). Rome is a good one if you're after a designer label at a reasonable price. Check out the likes of Via Condotti and Piazza de Spagna. Meanwhile, the fashion capital, Milan, is bursting at the seams with places to snap up a bargain. Whether you're a local or coming to Milan especially for the season, make sure that you've got enough money, as you'll be spoilt for choice! If, like me, you're not a big fan of crowds, then visiting Italy in the Winter season is a very good idea. You can enjoy the iconic sights and landmarks of Italy without being surrounded by extra bundles of tourists and sight-seekers. 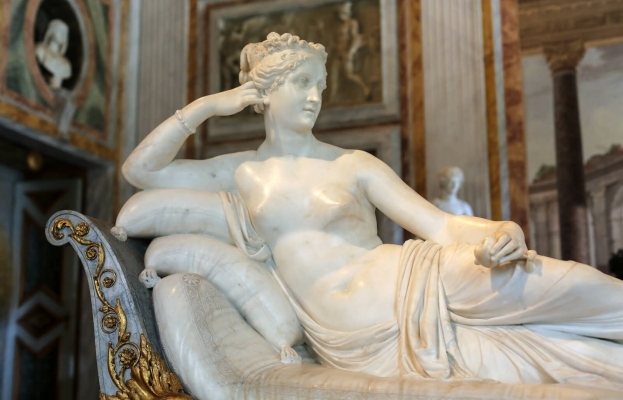 Legendary destinations like the Colosseum and the Borghese Gallery in Rome can be savoured at a more leisurely place, and you don't have to spend extra time waiting in queues either! Be aware though, that landmarks, buildings and museums close when the sun goes down – so make sure that you give yourself enough time to sample the legendary culture and history of Italy. The other benefit of coming to Italy in the Winter, crowd-wise, is that the beaches will be considerably less packed. While it's not exactly sunbathing weather, some Italian regions offer highly pleasant, mild weather. The likes of Sicily, and the Neapolitan and Ligurian coasts are lovely destinations to chill out (not literally). You can take a leisurely walk on the beaches in these areas or simply pull up a chair and watch the world go by – without lots of people getting in the way. On the other hand, if you're a fan of the hustle and bustle, then the razzmatazz of the Venice Carnival is a very good reason to come to Italy in the Winter. It's one big party that this year, starts from 16th February, and lasts until 5th March. Packed full of masks, dances, costumes, floats and colour, the Venice Carnival is one of the most revered of its kind, worldwide. An unforgettable spectacle, there are plenty of events and parades to keep visitors entertained. The carnival wastes no time getting down to business, kicking off on 16th with a spectacular launch of the event. The waterways of Rio di Cannaregio will be traversed by a specially illuminated and created parade. The next day keeps up the water theme with a massive parade on the Grand Canal, complete with splendid costumes, music and lots of food and drink! It's an event that is rich in tradition. Recalling the traditional beauty contest, the Festa delle Marie Parade revisits the days when the Doge of Venice would crown the winning lady of a dozen with valuable jewels. Another Doge-related tradition is the Flight of the Angel which takes place at the clock tower of St Mark's Basilica. This tradition involves a lone person flying by rope from the tower to land by the Doge for an embrace. These days, the winner of the previous year's Festa delle Marie competition is the lucky one to fly from the tower, which this year gets to be Erika Chia. 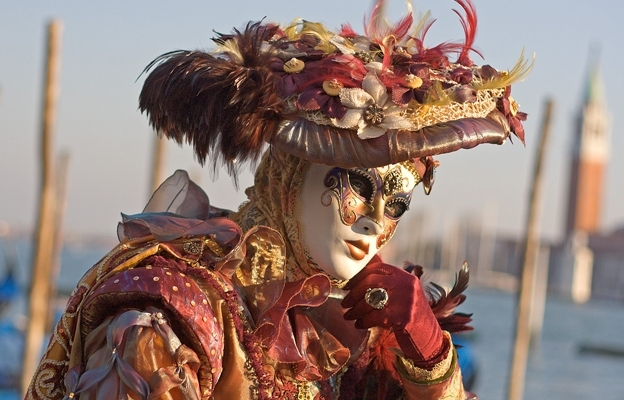 An event that sums up the luxurious splendour of the carnival is the Mascheranda Grand Ball, which boasts a wealth of period costumes, traditional music and dances, the best food and drink that you can sample, and even some old-style party games from Venice. It's all happening at the Palazzo Pisani Moretta, and as one of the last major events of the carnival (occurring on 3rdMarch), it's an aptly stylistic sign-off. What better way to warm yourself up with a lovely cup of Italian coffee? I've already talked about how Italians love their coffee here– if you're coming to Italy for a visit this Winter, then you must try one of the local coffees. Packed with flavour, it's the perfect start to the day. Wherever you stay in Italy, you'll be spoilt for choice. Here are a few notable examples, though. 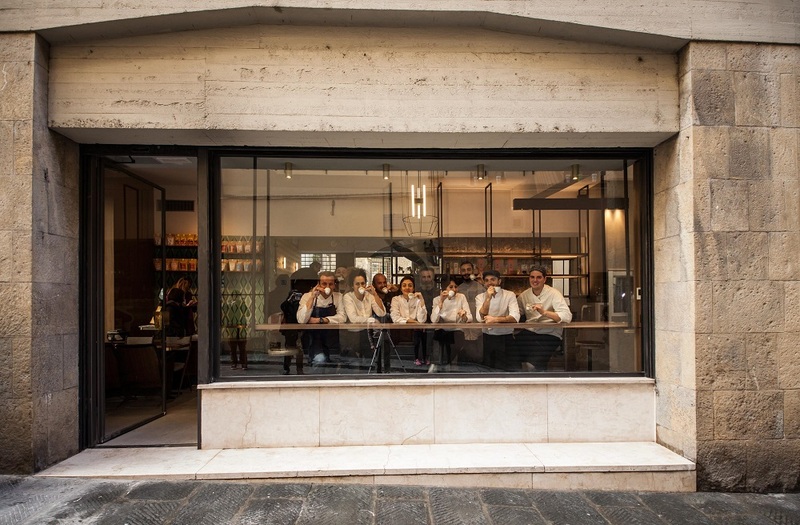 If you're in Florence, then the cosy atmosphere and friendly service are the chocolate sprinkles on top of the tasty speciality coffees at Ditta Artigianale, a classy espresso at Rivoire or the perfect flat white at Caffetteria Piansa on via Gioberti. Whatever your coffee of choice (espresso, filter, etc), you'll be sure to enjoy the highest quality here, and it's a place that you can enjoy a tasty breakfast too. Their alcoholic drinks are also worth a try too, including some specially created cocktails. Rome's La Casa del Caffe Tazza d Oro serves up a very high standard of coffee, and an added bonus is that the prices are very reasonable. It's a lovely throwback to the days of the 1950s, with the unique designs of that period taking you back to a more innocent time. The coffee granitas are especially worth a punt here, and at around 90 cents an espresso, you won't go wrong. Caffè Terzi in Bologna is a hidden gem of a coffee shop that makes its drinks with flair, imagination and bags of flavour. Its espresso, Caffè con Cioccolato, is boosted by high quality dark chocolate shavings. Other offerings such as the Caffè alla Nocciola are also well worth a taste, combining espresso, chocolate shavings and hazelnut cream to great effect. Meanwhile, Milan's is the perfect way to start the morning. You'll be greeted by a warm, friendly atmosphere, quirky but comfy furniture, and plenty of smiles. The coffee is none too shabby either, and the same goes for their delicious breakfast snacks. The baked Pavé goodies are begging to be sampled, including fruit tarts and their fresh Brioches. A spa break could be well what you need after the trials of Christmas. One of the best locations for this is Tuscany – home to a number of excellent natural spas and springs that will help you to unwind. Given that the new year is commonly connected with turning over a new healthy leaf, a visit to Tuscany is a wise choice. The Casciana Spa, for example, can help manage various ailments and conditions such as circulation issues, respiratory problems and gynaecological conditions. The soothing spa waters are also excellent at helping to combat stress. There's nothing like a soothing flow of therapeutic thermal water, and Casciana Spa's waves are good for both mind and body. The Venturina baths of the port city of Livorno also boast constantly heated, natural waters which are excellent for helping the body and soul. Also on offer are various other water, hydro and mud treatments. Depending on your choice of Tuscan town, there are plenty of spa and spring health resorts. 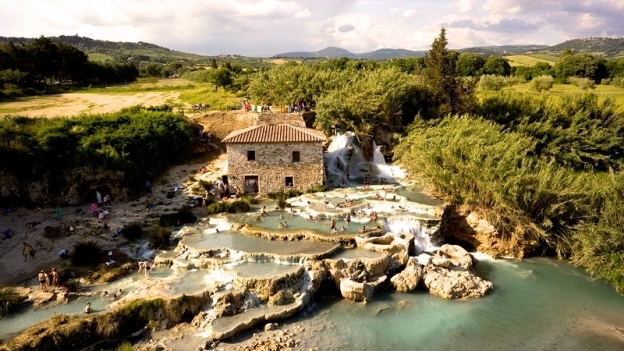 One of the best to go for is Montecatini Terme, which features no less than nine related destinations to unwind – it's no surprise, given that it's gained a reputation as one of the best Italian spa towns, on account of its element-abundant thermal waters which is used for both spa therapies and drinking water.